Make the most of your vacation dollar with these special values by Vacation Station! The Robert Trent Jones, Sr. designed Incline Village Championship Course demands your best game. Long, tight fairways cut through towering pines to test your distance and your accuracy, while sand bunkers and water hazards add to the challenge. 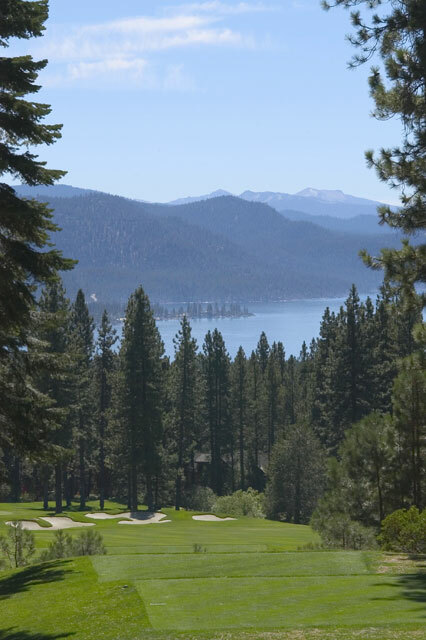 Spectacular views of Lake Tahoe and the surrounding Sierra Nevada mountains make this a course to remember. The 18 hole par 58 Incline Village Mountain Course requires accuracy to master its contours and elevation changes. With whispering pines and rushing creeks set on a background of fantastic alpine views of Lake Tahoe, you are sure to have an enjoyable outing. Vacation Station guests receive Special Rates courtesy the Golf Courses at Incline Village Golf Courses. Save $25 on a round at the Championship Course. Save up to $57 per round at the Mountain Course, including club rentals. The Sierra Nevada Guitar Society is presenting its annual Classical Guitar concerts, workshops and competitions in Incline Village at Lake Tahoe on July 10 to 14, 2013. Highlighted guest artists include the Gonzalo Bergara Quartet, Rene Izquierdo with Exaudi Duo featuring Elina Chekan, the Mobius Trio and many others. Competitions on the six string classical guitar will be open to youth and adult categories. Special arrangements for Sierra Nevada Guitar Festival Lodging close to the festival venues are available for event participants, their friends and families at preferred pricing. Contact the Sierra Nevada Guitar Festival at Lake Tahoe for more information on the Festival itself. Let us show you we appreciate your return visits! Previous Vacation Station guests receive one night free with any paid stay of three or more nights during the Spring and Fall seasons. These are especially beautiful times of the year at Lake Tahoe. You can’t beat the weather and the relaxed pace. Experience a true Tahoe getaway! Call today to take advantage of this special pricing. Free night offer applies to most properties and may not be combined with other offers. Subject to property availability.